So what is Rogue Quest? 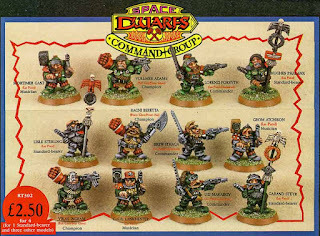 The idea is to collect, paint, and if necessary convert six Rogue Trader era/style miniatures each representing one of the classic Warhammer Quest(Hence Rogue Quest)/Dungeons and Dragons character classes: Fighter, Rogue, Mage, Cleric, Ranger, Druid, Bard, and Barbarian, to form an adventuring party in the Rogue Trader universe. I know, right! This idea is made of pure Awesome! The first and most important thing to say is that this idea is stolen from two far more distinguished Oldhammerers than myself, namely JB/Asslessman at the excellent LeadPlague and Jon/Axiom at the equally excellent Magpie and Old Lead, and was further inspired by Alex at Leadballoony (which, by the way, is excellent) and his take on the Rogue Quest idea. I encourage you whole heartedly to check out these pages, they were a big influence on my wanting to start this blog, and the authors were really encouraging when I expressed a desire to start my own Rogue Quest project following their example. A shout out also to fellow Oldhammerer Jason Lye who came up with the goods when I appealed to the community as I just had to have that one particular miniature for this project and nothing else would do! This was all about 6 months ago mind you, and the project has fallen behind due to my main focus being on painting to order for my ongoing retro 80's D&D campaign. Anyway, for all these reasons, and more, for me Rogue Quest is proper Oldhammer, and I'm still really excited about this project. As soon as I decided to start this project I knew I wanted to do a Squat Bard, and I had one of two miniatures in mind. 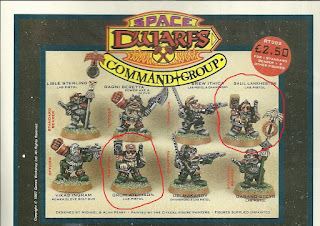 Now the RT302 Squats are quintessential Rogue Trader, but I know I'm never going to collect a Squat army - too pricey to buy 'mint' by a long shot, and getting repalcement arms must be a nightmare - a Squat enthusiast once told me people sculpt their own, but that is beyond me for the moment, therefore so is a serious squat collection - but this project was the ideal opportunity to indulge and buy just one really good one! 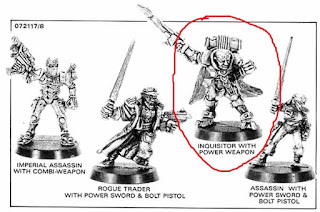 I found the advert below and circled the two models I had in mind, and appealed to the Oldhammer Community for help. Jason soon came to my aid saying that he had not just both the models circled available, but also the third Squat Musician from the series. "What's that, there is a third?" I exclaimed. Indeed there is, and when I checked the larger advert below I also noticed that the names of the two models I'd originally asked about have been transposed at some point, as sometimes happened back in the day. Note the names have been swapped between Grom Atchison and Galil Lankhester, with Mortimer Ghast making up the trio. I love the very 70s/80s vibe of the shoulder mounted stereo speakers. Anyway, my heart was set on Grom, or Galil, or whatever, the one in the red cap. He just had the right vibe to me, and an idea was beginning to form in my head that would only work for that model. Sven Spielboard is a Xenolinguistics expert formerly attached to the Adeptus Biologis, now... let's just say he's with another organisation. Born to Squat parents on an Imperial and mostly human world, Sven attended the Scholastica and excelled in linguistics, maths, and music. Going on to study xeno-anthropology and xenolinguistics at a postgraduate level it is a bitter irony in Sven's life that he is cut off from his own culture by having studied it closely from an academic point of view, but not having experienced much of it himself in real life settings. Front view of Sven Spielboard, Squat Bard, with his custom made, portable, and stylishly wood panlled Synthesiser and Speaker combination. The colour scheme for Sven is a combination of the classic colour schemes seen in the adverts above. I've brought in the grey alongside the green and the red to make the overalls look more workman like and to keep the red as a stronger spot colour. Inking played a crucial part in this piece. I used Orlygg's highly recommended blend of brown and red inks for the skin tone, which I think is perfect for the ruddy look I wanted for this Squat. I also used a little undiluted blue ink on the aviator shades, and to add definition to the white keys on the synth-board. You can just about make out the alternate red and white tabs on the back of the unit, inspired by my Dad's ancient stage amp and speakers. I finally had a justifiable reason to use my 'Insane Detail' brush. I'm not entirely happy with the hair and beard, I wanted it to be more ginger, but it got to a point where I was happy with the overall look of the model and I really didn't want to risk messing anything up, so I've left it. This piece also marks an improvement in my basing technique, a stated aim of mine in my Oldhammer ambitions for 2016, although it is still basic and I'm regretting not filling in the tiny gaps at the side with putty, I'm much happier with this than my old painted bases. All in all, I think Sven is some of my best ever work and I've loved painting him, especially knowing he was going to be part of this project and coming up with his background as I went. Here Sven can be seen keeping some Space Ork Raiders at bay with the help of an Imperial Navy trooper. I imagine he is is using his portable synthesiser/speaker unit to play them the 'Brown Note.' This may well have to be one of his special abilities in game. I've already selected and collected four of my six 'adventurers', and the second member of 'the unit' is already half painted so I hope to be show casing them here soon. However, I'm still trying to get my hands on the character I want to lead this elite band, the Inquisitor with Power Weapon from the 072117 Forces of the Imperium release. A very kind member of the Oldhammer Community has tried to help me out by scouting for ebay listings but twice I have been unlucky. If anyone has this chap available for sale or trade please get in touch via the comments! I hope you have enjoyed this first installment of my own Rogue Quest and will come back for Level Two - The Wyrd Beastmaster Druid. Don't forget to check out the others much better efforts at Rogue Questing using the links above! 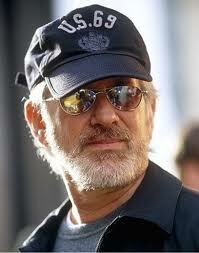 This is the chap I'm after. Anybody got him lurking in their leadpile?